Recently, there was a big crane show called the Customer Days, or “Kundentage.” There are more cranes in this world than most of us will ever see driving though cities and towns and highways. 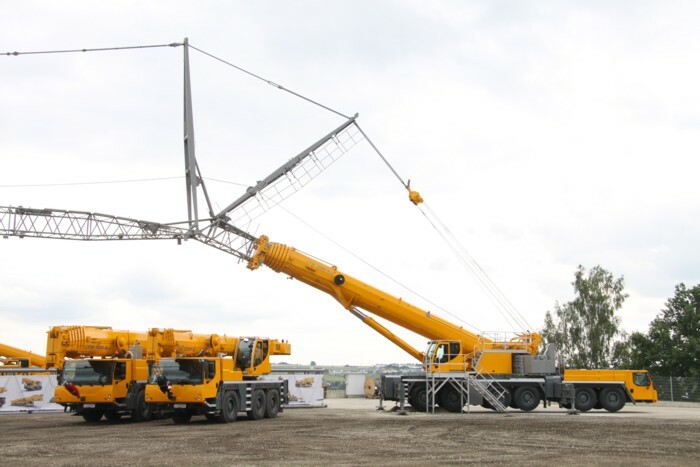 The show is held every three years, and all of Liebherr-Werk Ehingen’s new products are shown, including brand new crane models. Cranes and Trucks captured the event (find more stuff from them at link below). Big Yellow demo cranes driving on a parcour. Lines of LWE cranes doing the same, actually. Big grey crawler cranes performing a “crane ballet” (two shows per day). 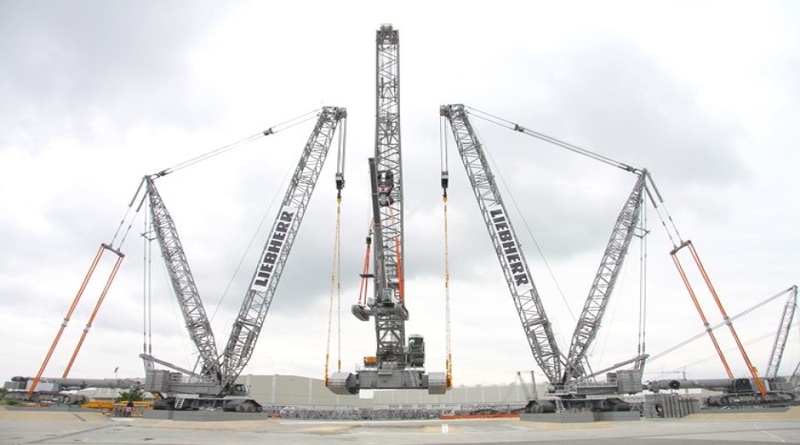 Cranes lifting up other cranes, like LTR1060’s lifting models of LIevherr LR1600/2s. Grey Liebherr LR1500 prototypes, LR1750s with 63-meter booms and 28-meter jibs. 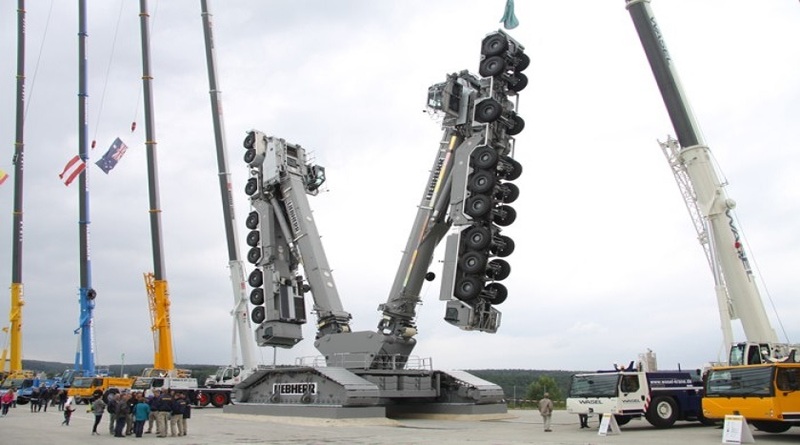 And an interesting display (featured image above): a rotating Liebherr LR11000 crawler carriage sculpture with two LTM1750-9.1’s attached. The point of this display was to show the bottom side of the cranes, a view not usually seen by anyone except manufacturers. In order for this to be safe, all the liquids from the machinery were removed and the engines were secured. For a bunch more crane stuff, visit Trucks and Cranes (click here).